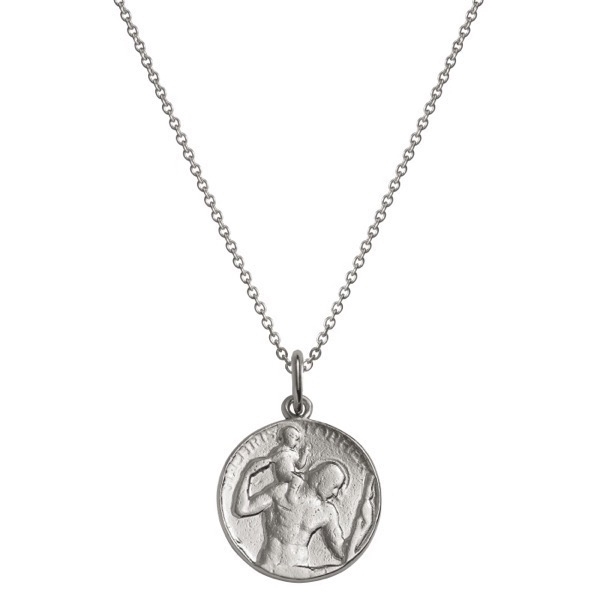 This large charm depicting St.Christopher carrying a child across a river is a gorgeous addition to a necklace or charm bracelet. 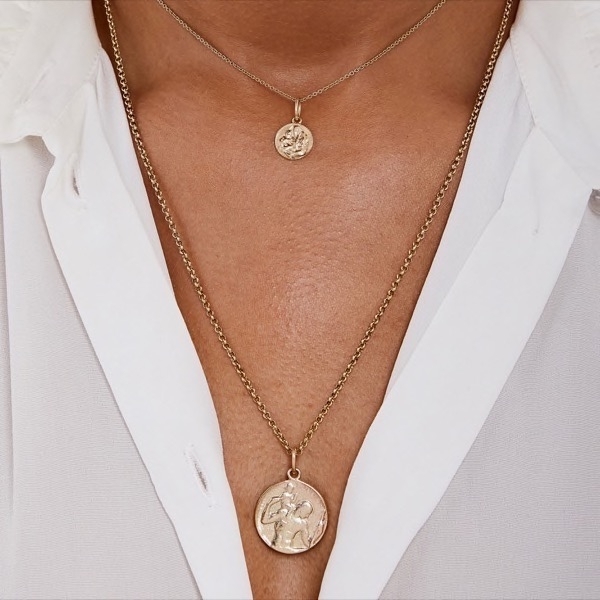 This charm is a recreation of a silver charm that originally belonged to Sally’s great grandfather and has been passed down through her family for generations. In popular medieval devotion, he who looked on an image of St. Christopher would suffer no harm that day. 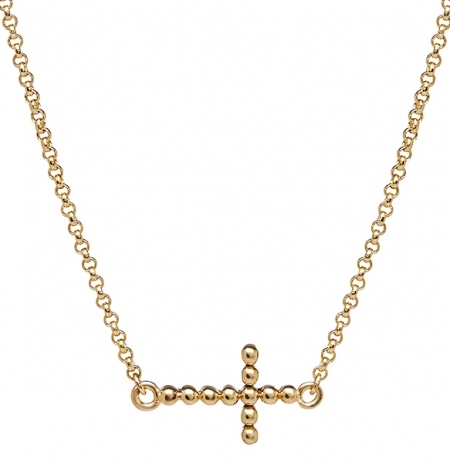 Available in 9kt yellow gold or solid sterling silver. 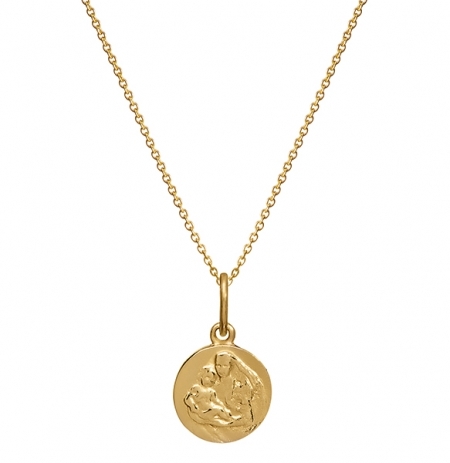 Solid 9kt yellow gold or solid sterling silver St. Christopher charm.